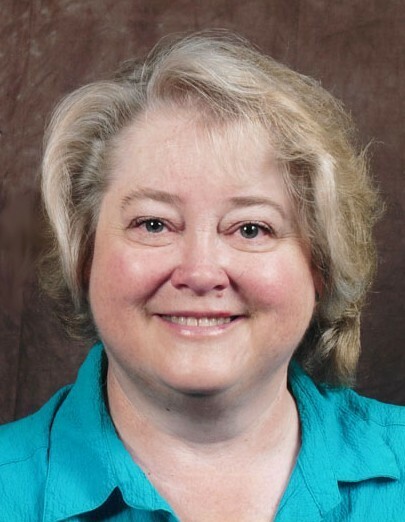 Deborah Ann Chadwick passed away peacefully on April 7, 2019 surrounded by her family. She was known as wife, mom, and Grandmother Debby. Deborah was born July 7, 1951, in Gilmer, Texas and lived her married life in North Ogden, Utah. She married Billy Chadwick on August 6, 1971 in the Salt Lake Temple and enjoyed 47 years of marriage. Her greatest joy in life was her, kind husband, their 2 children, and their 7 grandchildren. Deborah has a firm testimony of the Gospel of Jesus Christ and loved serving in numerous church callings. Deborah always offered care and aid where it was needed and was always willing to listen and talk. Anyone around her felt her love and were instantly included in her life. She loved baking and often treated her family and friends with wonderful treats. It was one of the many ways that she shared her love and care. Often it was accompanied with a homemade quilt, doily, or other homemade craft. She had a passionate love for music, where her talent shined. She would sit at her piano and fill the house with resonate melodies. She often volunteered to play the organ at church and could play a song she didn’t know with little or no error after a few moments of practice. She not only played the piano; she played the guitar, ukulele and other instruments. Her musical talent was further highlighted by how well she sang, which she often did, either at home or at church. Her husband Billy expressed and continues to express how her voice brought him great joy. She has touched many lives through her love and her talents. Deborah is preceded in death by her grandparents Effie and Walter Bailey and her father Milton Shirley. Deborah is survived by her husband Billy Chadwick, her two children James Chadwick (Sara) and Katrina Durand (Christian), brothers Keith and Marion, and sisters Linda, Kendra, and Lynette, and her 7 grandchildren. Services will be held at 12 p.m. on Friday, April 12. A viewing will be held on Thursday, April 11 from 6 pm–8 pm and also on April 12 at 10 a.m. prior to the service. All will be located at the LDS Chapel, 575 E. 3100 N., North Ogden, UT. Burial will be at the Ben Lomond Cemetery in North Ogden.